It is the first day of November, 2017, as I begin this blogsite. Thor’s movie, “Ragnarok” releases in just two days. Temperatures have been dropping to 30 degrees at night in Indiana, and I have had to scrape frost from the windshield. Hillary and the Democrats are still trying to get President Trump. 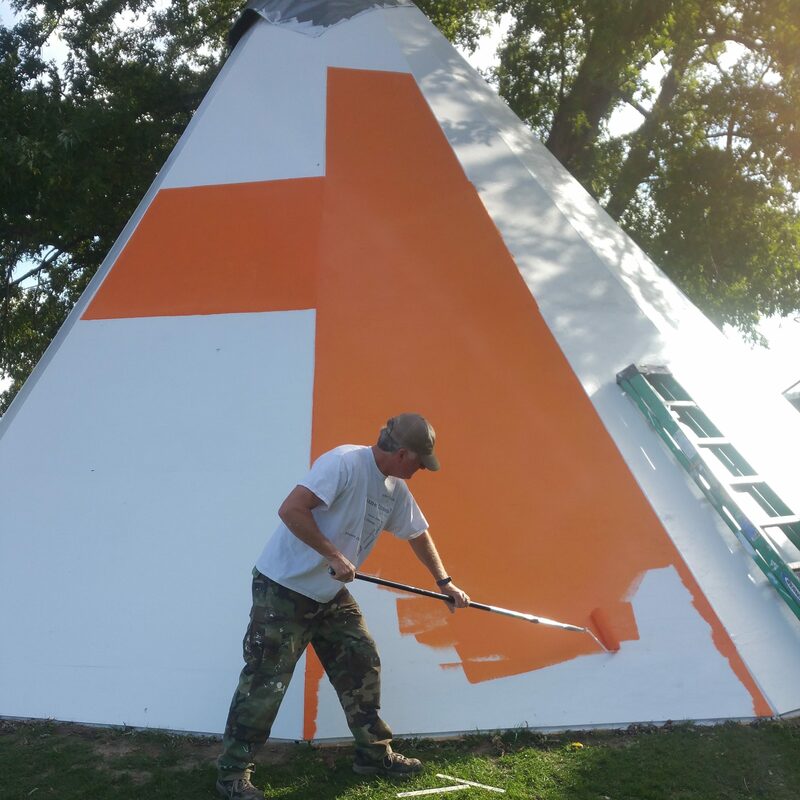 The outer shell is 98% on the tipi and painted with several coats. A chiminea sets ready to install inside. And after a nine day trip to the Black Hills, and approximately five months of building the tipi, alone, as I can, I now find myself starting the website to be a platform for “Path of the White Feather”, a different kind of Church, but the same Gospel message. It is very late now as I must lay this aside to be continued. It is two-thirty in the morning and I must get some rest. It has been a good day of getting this site up and running. This is the Path of the White Feather.